This week Johnwoods Street was closed between Rosehill and Maple Grove. Residents are strongly encouraged to avoid this area and only use the area for local traffic. I am aware that residents in the surrounding areas have experienced additional traffic on their residential streets following the closure. This is no longer a direct route for drivers to access Highway 417 and over time this should become apparent to drivers and they should seek alternate direct routes. There has been large variable messaging lit up signs on Hazeldean/Johnwoods, Huntmar/Maple Grove, Maple Grove/Johnwoods and Johnwoods/Rosehill advising drivers that Johnwoods is closed and to use Huntmar instead. I have also requested the messaging sign at the Maple Grove/Johnwoods be moved further east, closer to Warmstone to provide advance warning to drivers. At my request, and due to input from some residents, another messaging sign was placed on Huntmar north of Maple Grove to also advise drivers the road is closed and to use Huntmar. In addition, ‘local traffic only’ signs were placed at Alon and Maple Grove near Santolina. I requested this additional signage specifically knowing there was an Ottawa Senator home game last night. I also requested Ottawa Police Services to assist in directing traffic to use Huntmar last night as well. I am aware that there were reports of OC Transpo busses traveling through some streets which they should not be, and this is being resolved. 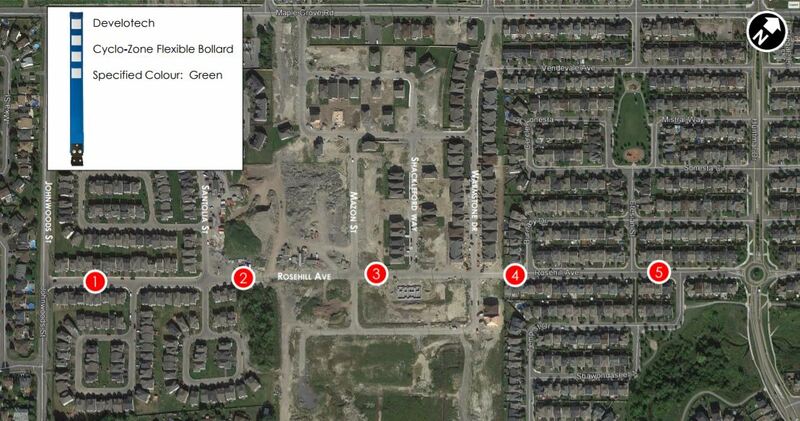 The developers for Fairwinds West and Poole Creek Village have also been reminded again to ensure that all of their construction equipment and contractors do not use existing neighbourhood. Traffic counts are also being taken in the communities surrounding Johnwoods and these results will be made available to the community through my eNewsletter. I would like to remind residents that Johnwoods Street will be permanently closing on November 15th. Commuters are encouraged to use Huntmar Road and other alternate routes. I have continued to receive questions and comments on this road closure and working with staff I have the following information that I can share with the community. Flex stakes were installed this week on Rosehill Drive, these are temporary and were installed by the developer. 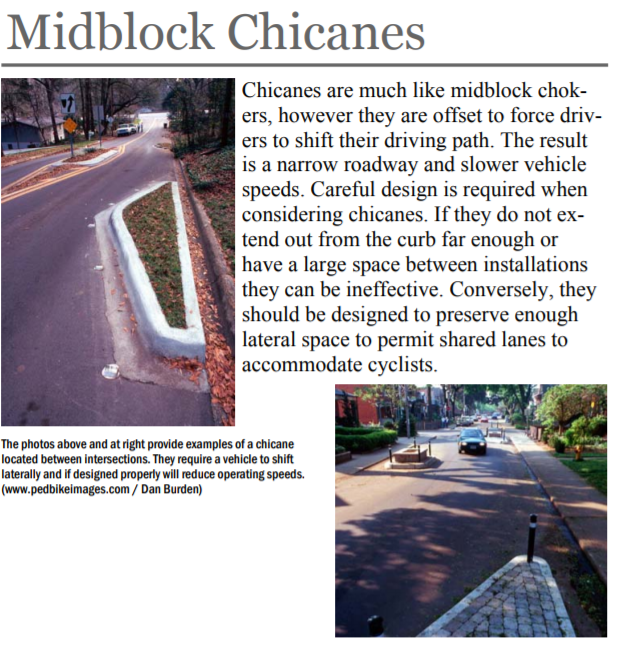 In my electronic newsletter last week, I advised the community that the long term plan is for chicanes to be permanently installed on the street next year – chicanes are a proven form of traffic calming which narrows a roadway to encourage drivers to slow down. In addition, there are already plans underway to have a speed board in this area on the street as soon as it is received.I will also be requesting additional Police presence in the area after Johnwoods closes. This week, I met with Transportation Staff regarding traffic calming for the other portions of Rosehill Drive and this will be included for traffic calming initiatives as well. Permanent traffic calming measures are done through the Area Traffic Management (ATM) group at the City. For a roadway to receive permanent traffic calming measures, it first must meet a set of Council approved screening criteria. If a roadway does meet the screening criteria, it is then prioritized against other locations that have also meet the screening criteria. It is difficult to say when a roadway that meets the screening criteria will receive permanent traffic calming measures. Approximately seven studies are done a year by the ATM group and at last count they had over 40 locations on their list of locations eligible for review with more locations being added that can change the priority ranking. Traffic counts have already been done for the area and in addition to those counts, the City is also collecting data through the use of road tubes (ATR) which collect speed and volume data (this is planned for this Fall, weather permitting). As referenced in the documents on my website, there was a Traffic Impact Studycompleted for the Fairwinds West subdivision (33 Johnwoods) and this study has been available on the City of Ottawa Development Application website. In addition, there was also a traffic review done for the temporary and permanent traffic calming measures installed on the street. The City did undertake traffic counts recently in the area (including on a Senators game night) and will conduct traffic counts after the closure as well. I also had a private consultant conduct a traffic count on Johnwoods. After the traffic count following the closure is completed, I will share all this information with the community. Rosehill was built and planned as a collector road which has the capacity to hold additional traffic volume and can accommodate buses as well. While I sympathize with residents on Rosehill that they may not have realized the road was planned for this, it was noted in the development plans for the subdivisions and in the purchase and sale agreements. In the subdivision agreement (instrument number OC1658889) for the Mattamy’s Fairwinds West subdivision (draft approved on October 2013 and registered on August 13, 2014), both Rosehill Avenue and Santolina Street have been identified for potential transit services. Rosehill Avenue between Huntmar Drive and Johnwoods Street is designated as a Collector street within the City’s Transportation Master Plan and is planned to function as a connection between Huntmar Drive and Johnwoods Street. Rosehill Avenue, beginning with the portion within the original Mattamy Fairwinds subdivision (draft approved in 2006) has always been built to a 21.5 metre right of way width, with sidewalks on both sides and designed to accommodate bus traffic. As I disclosed last year, the City did make an oversight in not completing the last stage of the consultation before granting the final decision to close the road. 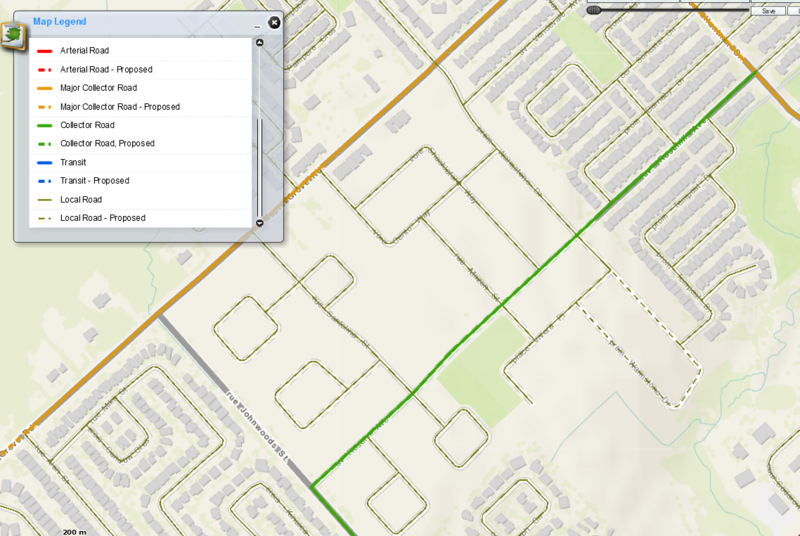 However, this road closure was considered because of the complaints from residents through the Kanata West Concept Plan discussions when the Fairwinds West development application was submitted. I encourage you to review the reports such as the Delegated Authority Reportand the Traffic Impact Study where the residents’ concerns are noted. If you would like additional background information please visit my website at shadqadri.com/johnwoods-closure. The documents on my website include detailed information regarding the decision to close Johnwoods and in the reports there is also a summary of the concerns raised by the residents in the area which led to the recommendation to close the road. I have received a number of questions and comments from residents regarding the Johnwoods Street Closure which will be taking place on November 15th. For background, including information on the decision to close the road, I encourage residents to ensure they have reviewed the information posted on my website here. Working with City staff, the following responses have been prepared for some of the questions that have been raised. I am continuing to work with City staff on the questions that have been raised and will share more information with the community in the coming weeks as we move forward in this process. I encourage residents to please review the following documents which have also been mailed to residents in the immediate area. For additional background on this project including more information on the decision to close the road please review the following documents that were shared with residents in 2016. 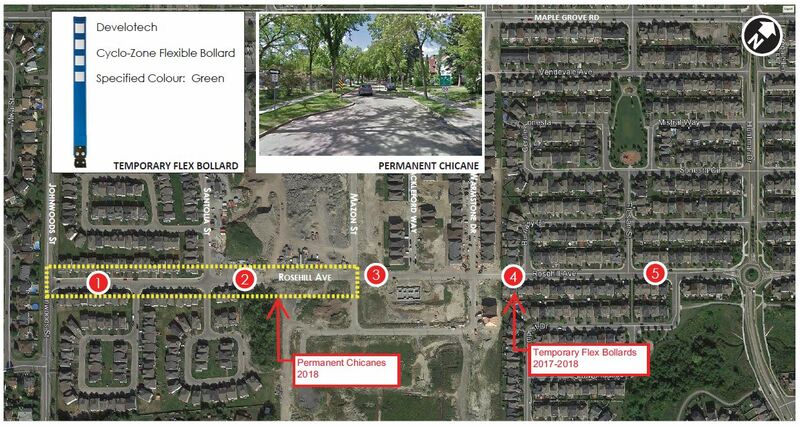 Please review the following documents for more information on plan to convert Johnwoods Street from Rosehill to Maple Grove into a linear park. Please note my letter to residents will also be mailed to residents in the immediate area of the site.